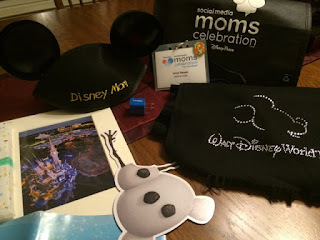 I felt as though I was still flying in a cloud of pixie dust from that magical email that had arrived about 3 weeks earlier inviting me toattend the #DisneySMMC event in New York City. And it’s a good thing. I needed all the pixie dust (and coffee!) I could find when my alarm went off at 2:30 AM on Monday, June 15. With a spoonful of sugar to help the coffee go down, I boarded a 4:25 AM train out of Maryland and was on my way to the Big Apple. "Genie, I wish for an amazing conference." 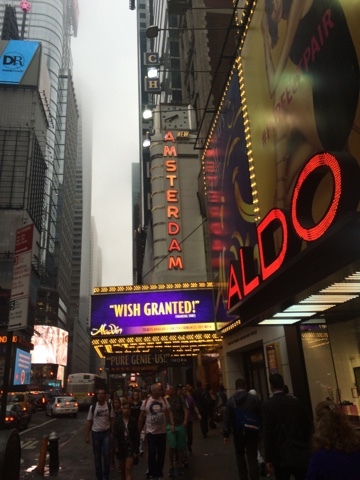 Wish granted! The day began with registration, breakfast, “swag bags,” a photo op, and pin trading all before 8:30 AM. 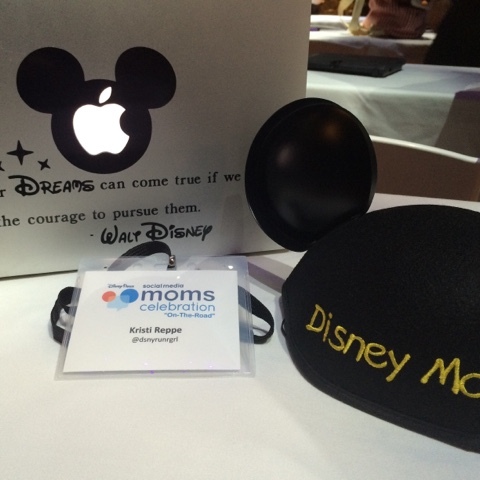 This was a great way to kick off the celebration and begin conversations with fellow bloggers and social media moms. Unfortunately, nobody was interested in my pin so, alas, no pin trading for me – but the photo op and props added a great deal of fun as everyone showed their #DisneySide. 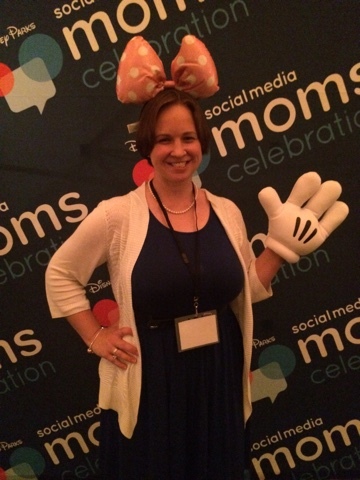 The props at the Disney photo booth were a lot of fun! 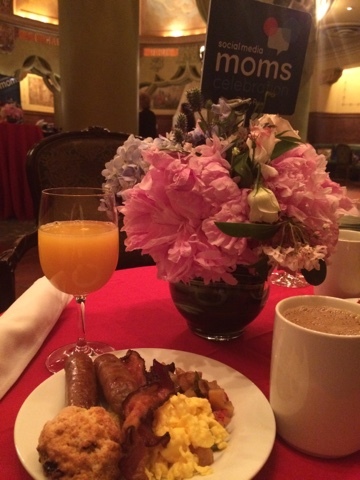 Yummy breakfast. . .and the much appreciated coffee!! 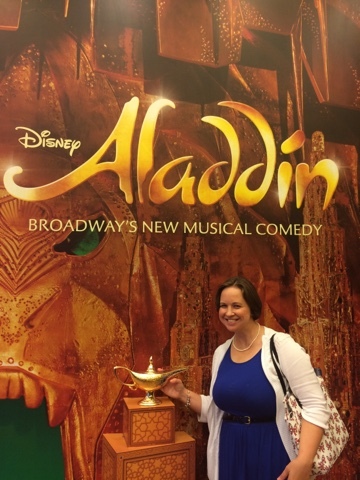 The event was held at the New Amsterdam Theatre, which is home to Disney’s Broadway production of Aladdin. 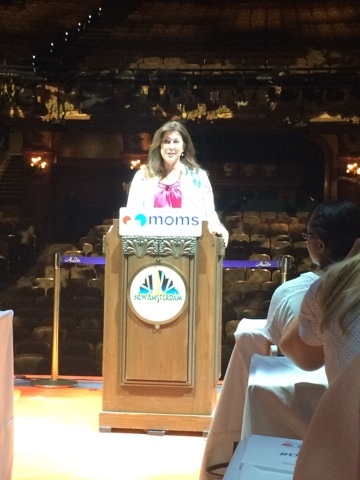 Promptly at 8:30 AM, we were invited upstairs to make our Broadway debut as we found our seats on stage at the theatre for the conference to begin. 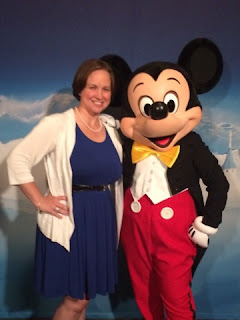 Leanne O’Regan began the day with a welcome and a brief overview of some of the upcoming magicat Disney Parks and other vacation destinations in the Disney family. I’ll have more on that in a later post! Leanne welcoming us to he conference. The day wrapped up with a visit from the mouse himself, Mickey! Then we received a special surprise – a backstage tour of the New Amsterdam theatre. There was so much history and fun packed into that tour that I’m dedicating a separate post to that later on. I'm like a little kid. . .thrilled to have a photo op with Mickey Mouse! Sadly, the day came to end all too quickly. But our “swag bags” gave us lots of goodies to remember the day and embrace our #DisneySide. As someone relatively new to the world of social media and blogging, the event was such a great opportunity to learn from some amazing speakers and gave me lots of ideas to take back and improve my blog. And, the Disney fan in me enjoyed every pixie-dusted surprise of the day!